Matt has extensive experience in a variety of legal issues impacting members of food, agribusiness and other industries. His practice has included advising agribusiness clients on matters such as crop seed bag labeling, patents, trademarks and plant variety protection, as well as legal issues involving crops ranging from corn, soybeans and cotton to alfalfa, canola, milo and kidney beans. Additionally, Matt has defended food and consumer product manufacturers faced with class action cases based upon product labeling. These putative class claims have focused on “All Natural” and “Made in America” language and often involve claims arising under the Missouri Merchandising Practices Act (MMPA). Matt also has unique experience in toxic tort individual and class action cases, including the ongoing defense of a medical monitoring class action. Participated in pre-litigation claims, jury and bench trials relating to a private seed company and a public university’s assertion of utility and plant U.S. patent and Plant Variety Protection rights. Defended crop seed performance claims in multiple states and jurisdictions for a major agricultural technology company. Represented a leading precision agriculture company and worked with satellite imagery to track crop growth. Represented a biodiesel refinery client on issues related to soybean oil futures and trade rules. In addition, Matt routinely defends agribusiness industry members and clients in other industries relating to state and federal court matters involving alleged exposure to carcinogenic materials, medical monitoring, product liability, maritime explosion and other personal injury matters. Among others, he has litigated claims associated with asbestos, benzene, vinyl chloride monomer, fire, explosion and property damage. Matt has appeared on behalf of clients in state and federal courts — both civil and bankruptcy — across the United States. He has also coordinated with federal law enforcement authorities and has litigated employee embezzlement matters. 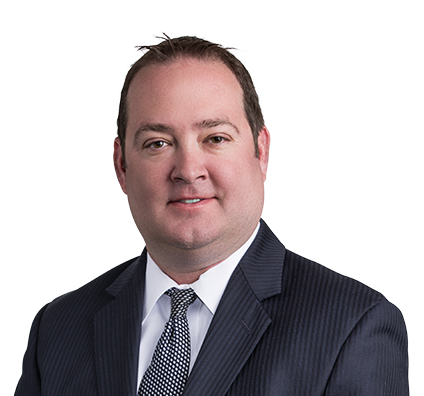 Furthermore, Matt has led the defense of several putative nationwide class action matters in state and federal courts, including multidistrict litigation (MDL) experience. He has handled the prosecution and defense of a variety of commercial and contractual disputes, including distributor, licensing and construction disputes. Most recently, Matt has provided advice on regulatory, IP, privacy and exposure/risk issues associated with the emerging field of Unmanned Aircraft Systems (UAS). Second-chaired trial in U.S. District Court, Eastern District of Missouri, and conducted the direct examination of the client's damages expert, resulting in a favorable verdict of more than $10 million. Second-chaired trial representing an agricultural products manufacturer in a patent infringement lawsuit in the U.S. District Court, Northern District of Mississippi, in which jury found that the defendants’ infringement was willful and rendered a verdict that resulted in a judgment for more than $15 million. Litigated with favorable results in the trial of patent and trademark infringement litigation matters on behalf of a Fortune 500 company. Secured dismissal of a putative nationwide class action case involving allegations of deceptive advertising. Represented a biodiesel refinery client involving issues relating to National Oilseed Processors Association (NOPA) and National Grain and Feed Association (NGFA) rules.